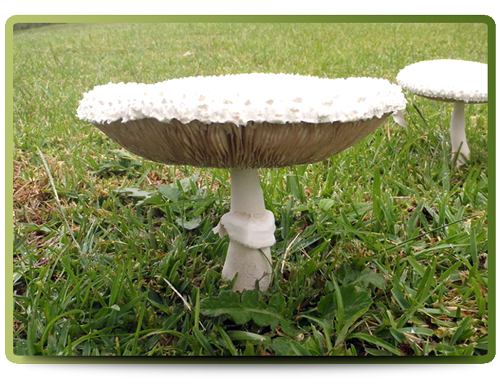 The White Parasol mushroom is easy to identify. It is 'off-white; in colour and has a flat cap. The cap size can vary from 4 to 10 centimeters across and often has loose scales on the cap surface that are tan in colour and are easily detached. The hymenium is decurrent . The stipe is hollow and it's length can vary from 3 to 8 centimeters and 1 to 2 centimeters in diameter. 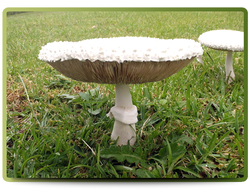 The White Parasol mushroom appears after a good rain on grassy pastures.